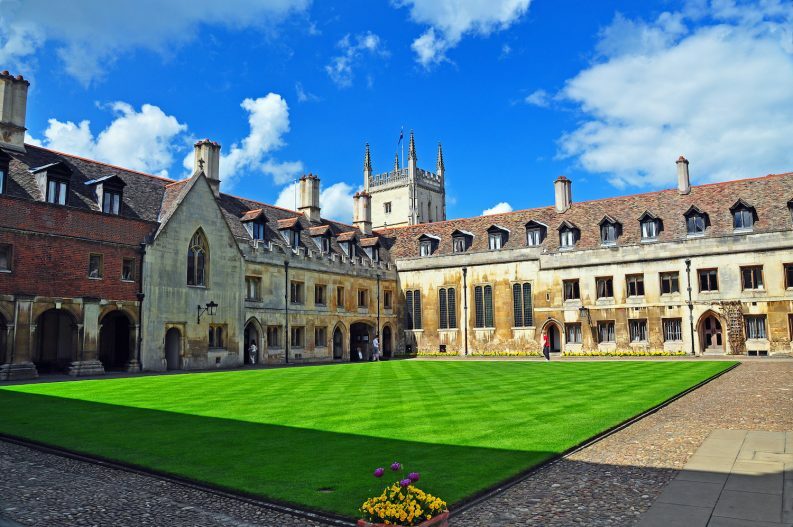 Symposia Iranica recently held its 3rd Biennial Conference at Pembroke College Cambridge on 11th and 12th April. Founded in 2012, Symposia Iranica has established a dedicated forum for postgraduates and early career scholars working on any aspect of Iranian studies in the arts, humanities, and social sciences. This year it included over 100 speakers from 23 countries. The Ancient India and Iran Trust was very pleased to support the project and contributed two prizes for the best presentations in the field of pre-Islamic Iranian studies. Jamie O’Connell, MA 2017, SOAS, University of London, for her paper The Nature of Ritual in the Avestan Hymn to Haurvatāt. As she explained, scholars have historically dismissed the Avestan yašt (hymn) dedicated to the Zoroastrian deity Haurvatāt as unimportant or minor because of the defective nature of its manuscript transmission. In it, Ahura Mazdā tells Zarathustra of a ritual for smiting and repelling demons that involves drawing a series of lines on the ground while reciting a prayer. Several scholars have noted similarities between these lines and those drawn for the Barašnūm (an important purification ritual) and have assumed that this yašt merely describes the same ceremony. Using several manuscripts unavailable to K.F. Geldner when he published his text in 1889, Jamie has been working on an edition and translation that is more faithful to the manuscript tradition and concludes that the ritual in the yašt to Haurvatāt is apotropaic not purificatory, and must be considered distinct from the Barašnūm. The other prizewinner was Zhan Zhang, PhD 2016, Harvard University for his paper Secular Documents in Khotanese: How to Edit Them and What Do They Tell Us? Khotanese — the speciality of AIIT founding trustee Sir Harold Bailey — is an Eastern Iranian language spoken between the sixth and eleventh centuries in Khotan, an oasis city-state along the Silk Road in present-day Xinjiang, China. Secular documents acquired from Khotan are among the most precious primary sources for the history of pre-lslamic Central Asia. Today, the major collections of these documents have all been published and are roughly divided into five groups according to their dates and provenance. 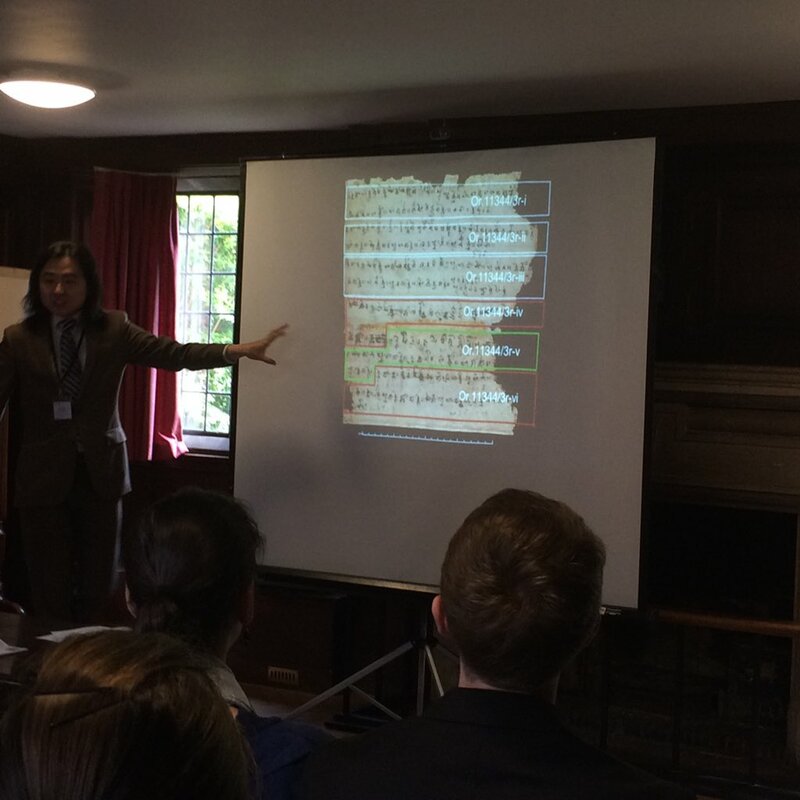 Zhan Zhang’s paper focussed on the third group, which consists of 162 documents dating from 798 to 802 from a single site. He demonstrated how a re-arrangement of the documents according to their inner logic enables a better understanding of them allowing many gaps in the text to be supplied from parallel contexts. This provides new insight into the administrative system, taxation procedures, and other aspects of life in Khotan at that time. Highly commended were Mariano Errichiello, MA 2017, SOAS, for his paper From Reactive to Creative: a Khshnoomist Perspective of the Evil Force on the Ilm-e-Khshnoom, an occult Zoroastrian movement that was started amongst the Parsi community in India by Behramshah Shroff in 1907 after his visit to Mt. Damavand in Iran, and Peter Zilberg, PhD 2018, Hebrew University of Jerusalem, whose paper, On Princes, Exiles and Scribes: An Analysis of the Iranian Name Corpus in Achaemenid Babylonia, looked at Iranian names occurring in Babylonian sources from an ethnic and sociological standpoint.